Believe it or not, the stunt-focused platformer FutureGrind was announced all the way back in 2015. It’s definitely been a long time coming, but we finally know just when it will be making its way to the PlayStation 4. The long-awaited title will make its debut very soon, actually! FutureGrind will be released on January 22, 2019. 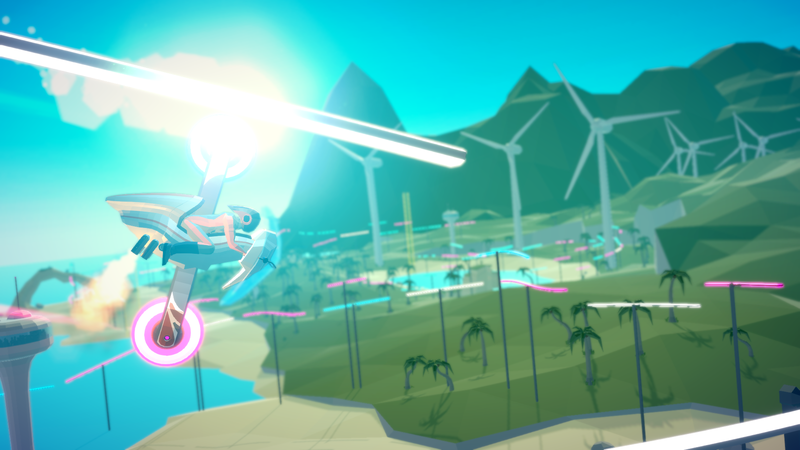 Made by the two-person team at Milkbag Games, FutureGrind is a Trials-esque platformer in which you and your bike can perform a variety of tricks and stunts. However, there’s a distinct futuristic slant here, with neon tracks scattered throughout. You’ll have to work hard to master this new sport. It may be tough to find your footing (for a lack of a better term) at first, but if you stay focused, you’ll quickly rise in the ranks. As you progress your way through the challenges, you’ll get access to a variety of different bikes and sponsorships. FutureGrind features both trophies and leaderboards to satisfy your competitive urges. In a somewhat pleasant surprise, Milkbag Games also announced steps have been made to make FutureGrind as accessible as possible. As a very color-heavy game, concerns were raised about those who are colorblind. Instead of simply using the default colors in-game, you have the option to choose which colors are featured. Accessibility in games is a topic that’s becoming much more prominent, so this is definitely heartening to see here. We previously got a look at FutureGrind at PSX 2016. It will release on January 22, 2019 for the PlayStation 4.